There were far too many women in leadership here. This church had two female pastors on staff. One of them was preaching an incredible sermon today. The amazing worship director was also a woman. So were some of the elders. I’d been raised in churches where only men preached. Some of my friends were all for women becoming pastors and elders, but I knew more people with strong opinions against it. Their voices scolded me whenever I entered the sanctuary: Oh, Jeanette. I’m afraid for you. God is not pleased with your choice. How could I feel so drawn to a church that God wouldn’t approve of? And why did what God wouldn’t approve of seem like exactly where I needed to be? Was I that easily deceived? I hadn’t expected to find a congregation that I loved as much as the one I left behind when divorce forced me and my younger son to move. My dad’s cousin had invited me to this church. She led a Bible study where I was making friends and learning things about Jesus that made me want to get to know him in a deeper way. That group had become a haven of healing. The church had resources I needed to recover from my divorce and what led to it. Another female pastor oversaw those ministries. She seemed so kind. I could see myself opening up to her. My cousin had started asking me to fill in for her as Bible study leader occasionally, so I was starting to get more involved. My parents, who’d dropped out of church attendance, had started coming with me on Sundays. So had my sisters, nephews, and niece. But were any of these benefits legitimate reasons to stay in a church that allowed something I’d been taught was wrong? Did I not trust God to provide another haven—one with fewer females on the platform? One day, I found myself in tears over my love for this church and my obvious need to move on. God, what am I going to do? Then I sensed God stopping me. Did I think I needed to leave because I truly believed this church was unbiblical, or did I feel pressured to because it didn’t look like what I was used to? Was I concerned about what he thought of my choice, or what my friends thought? Did I even know what the Bible said about women? Really? I knew some women who were pastors. Had I ever thought she’s doing something wrong about those women? No. The whole issue was a confusing mystery to me. I felt strongly that I was supposed to stay put and pay attention to what God wanted to teach me. I asked my cousin/friend to help me understand what the Bible had to say about women in leadership, beyond the few verses that had been drilled into my conscience. When reading my Bible, I noticed how Jesus regarded women. I started observing those two female pastors, and the male pastors, and those I knew who served as elders. Each of them was clearly doing exactly what God had gifted him or her to do. And the dynamic of women and men serving together as equals—I’d never seen anything like it. She sat with me, so we could talk for a few minutes. We prayed then talked some more. She gave me a hug. She asked me to check in with her later in the week, and I did. This pastor became a valuable part of my support system. That’s when it clicked. I’d needed to pray with a pastor that day. I’d also needed to pray with a woman. I was struggling with some deep things at the time and needed a go-to pastor but wouldn’t have felt comfortable opening up to a man. I’d been hurt by some men in church leadership and—though I didn’t realize it at the time—had a hard time trusting pastors because of it. But I trusted her. It occurred to me that when women have a need, we need support from another woman. Needs put us in a vulnerable place. Pastor’s wives are great, so are women’s ministry leaders and Bible study teachers. But sometimes, we need a pastor to go to, and meeting one-on-one with a guy can feel awkward. For some of us, depending on our experiences, it might even feel scary. How can we get the support and guidance we need if all the pastors and elders are men? God used all of this to reshape what I’d always been taught. More importantly than that, I learned the importance of seeking his guidance rather than blindly basing what is biblical/unbiblical on what the most opinionated believers have to say, which, in my opinion, can be just as dangerous as attending the “wrong” church. In the end, I learned to stop limiting God to someone else’s comfort zone, or mine. I learned to make my faith about following Jesus, not people, and to trust him to know where each of us needs to be in order to grow. If I had left based on what my friends would feel comfortable with if they visited, I would’ve missed out on the church home that I love and serve in. I would’ve missed out on deep healing and growth that came thanks to both men and women using their gifts. 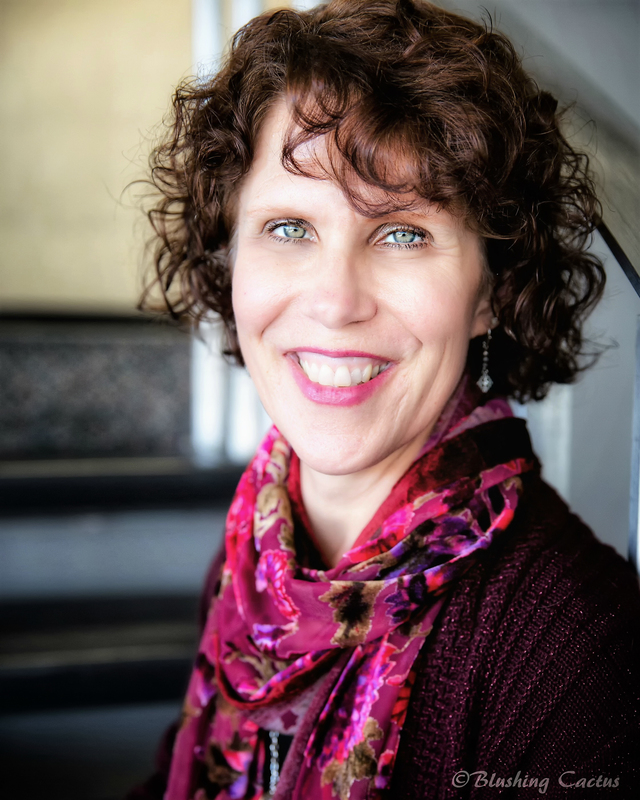 Jeanette Hanscome is the author of five books including Suddenly Single Mom: 52 Messages of Hope, Grace, and Promise, as well as a speaker, writer’s workshop leader, freelance editor, and proud mom of two sons (one grown and one teenager). She enjoys spending some of her free time singing at her church and in the Blackhawk Chorus. You can read Jeanette’s weekly blog posts at Jeanettehanscome.com, and connect with her on Facebook and Twitter. This entry was posted in Uncategorized and tagged church, complementarianism, Egalitarianism, Jeanette Hanscome, women pastors. Bookmark the permalink. Tim, Thanks for sharing this post by Jeanette. It encouraged my heart to hear her say, “But sometimes, we need a pastor to go to, and meeting one-on-one with a guy can feel awkward. For some of us, depending on our experiences, it might even feel scary.” That is true for me, and somehow it takes courage to admit! I am so glad this post encouraged you, Debbie! It took a long time for me to find the courage to admit the part that you quoted. But figuring it out was extremely helpful. Wonderful post, Jeanette. “Limiting Jesus to someone else’s comfort zone” — I think many of us can relate to that tendency. So glad you were able to get free from that and find a place where you could heal and grow. So often I think it’s my comfort zone I’m worried about, when really it’s someone else’s. Really informative post. There is a lot going on and a lot to chew on for sure. And really well written. I got your point about sometimes needing to speak to a woman who is also a pastor. Those two things put together mean a great deal. And I ESPECIALLY related to the difficulty in opening up a man who is a pastor as well. My only very minor contention is that regardless of gender AND regardless of their position of authority—I still have a steady fear of those in power. No matter who it is, there is always a strong tendency and temptation to abuse that power. Since men have mostly been ushered into church leadership, they have been the ones who have had opportunity to abuse power. Women had little to no opportunity to lead, and now that they’re thankfully stepping in and stepping up to their callings—now they too must be compelled to lead soberly, and cautiously. And they need just as much prayer as anyone else. Dump all the ridiculous stereotypes out there about women. We’re not naturally nurturing, naturally loving, naturally Christ-like. We’re naturally sinful, just as much as males. We’re in desperate need of a Savior as much as our brothers, because without Him we are slaves to our sinful natures. Our flesh rages and tries to rule over us just as much as the next person. W might feel stifled to speak freely about our struggles, because there’s a strong tendency to put us on a pedestal. Demonized or idolized—they are both of no blessing and benefit to us. I clearly understood what you meant about the opinions of others. And they may or may not dangle their approval over you like a whip—-and that is a pickle and a half. We all care about what our loved ones think. We are deceiving ourselves if we say we don’t care. We DO care, but we will set limits on how far that goes. There is different, but it’s completely and obviously not sinful. It’s a bit off, a bit new, but nothing too serious. Ruffles our feathers a bit, but that is all. Something like tattoos or other fashion statements might fall into this category. Different in that it’s challenging to our norms and comfort levels, but still not sinful. Some or many might protest and claim isn’t not Biblical—-but they can’t say that the Bible forbids it. Women in leadership might fall into this category. Or interracial marriage. It’s not sinful, but it’s unusual. And what is unusual is easily dismissed as non-Biblical—-even though no one can really prove it. This is where we make the commandments of men as if they are commandments of God, which is beyond dangerous. This is where you spoke wonderfully about seeking the Lord, not seeking the approval of others. This is something all believers will likely face at one time or another—and they need to follow your example. Tackle it head on (don’t ignore it), take it to the Lord, and take it to prayer with others. Lastly, different in the criminal or immoral sense: it is against God. It is absolutely sinful. It reaps nothing but death. There is no doubt, no wiggle room in this. This is where something like pedophilia or sexual assault would be included. Don’t victim blame or shame. Don’t cover up the crime. Don’t cover for the who used their power to prey on the innocent. Take their power away, and give it back to the victim—-who has a long and steady climb ahead of him or her. Keep writing and sharing! You’ve got real talent, and a real story to share. Anu, I really appreciate you taking the time to share all of this. I completely agree with you that both men and women are capable of abusing power. Thank you for the reminder to pray for them. To be honest, I”ve had to overcome some trust issue with women too. Those who left me wounded weren’t pastors, but some were in leadership roles, so I relate to your struggle. You’re right–women are not more Christ-like by default. We are just as capable of doing damage. This is just one more area where men and women can be seen as equals, I guess–equally sinful and in need of prayer and God’s wisdom. One pattern I’ve noticed is God’s faithfulness in healing those wounds through kind, truly Christ-like women (including the two pastors and the worship director I mentioned in this post). He has also sent reminders that there are a lot of good men in the church. I pray that you will see Him do the same in your life.